There are plenty of critters out there that like to dig through your garden and eat all the plants by the roots. 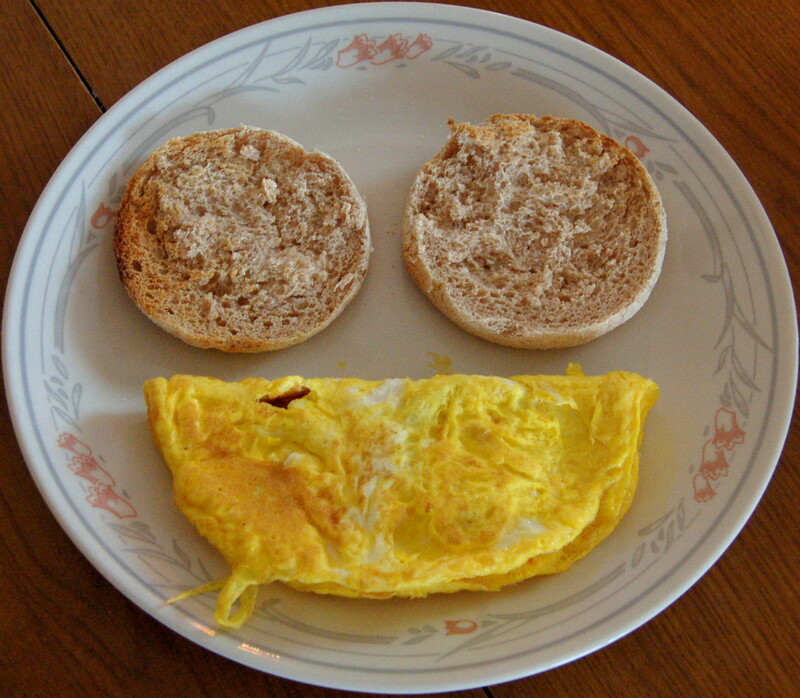 Especially your carrots and other root vegetables. I have never had any problems with these guys in my own garden, but have heard from others how hard they are to get rid of. Traps and chemicals are not what I want to be doing to get rid of them, and I’m starting out in an area where I’m not sure how much of a problem they will be. So I’ll just go ahead and plant the stuff I need to keep them out anyways. Daffodils and garlic. I am familiar with using garlic and onions to keep pests out of the garden, but daffodils came as a surprise to me. Apparently, they are quite offensive to deer and chipmunks too. I have seen a ton of chipmunks around, so I need to be proactive against them for sure. Both types of bulbs are offensive to these critters that want into your garden. 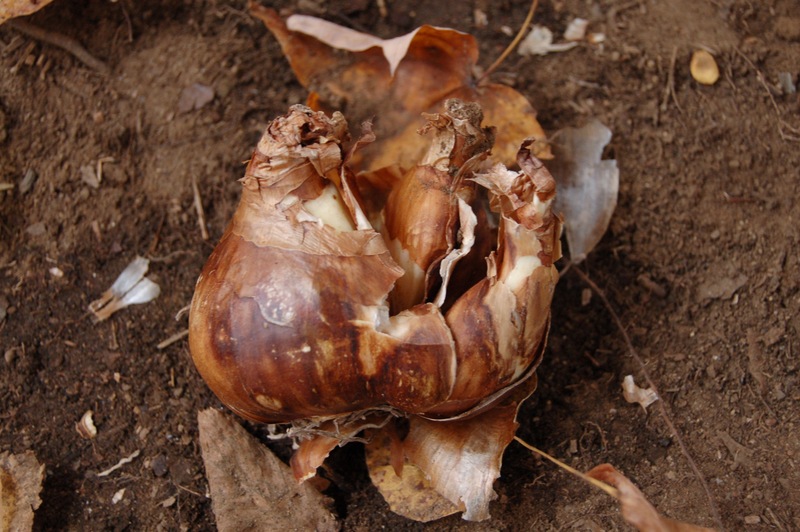 By planting the bulbs around your garden beds, it should function as a barrier for them. They apparently won’t go through the offensive plant barrier, unlike the fences that they laugh at. I doubt I bought enough bulbs for the whole garden, but I won’t know until my plants are eaten or not. I did end up getting regular bulbs at a local garden store. I would have preferred heirlooms, but I just can’t afford to do that right now. Here they are! All ready for a fall planting. 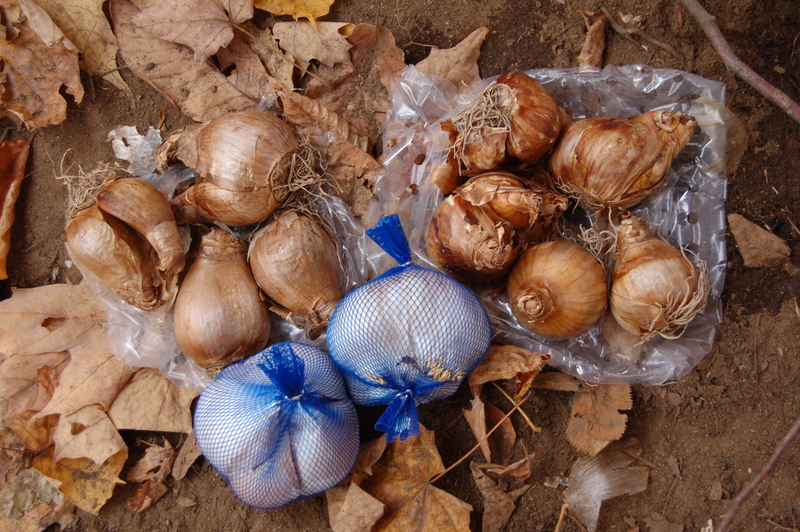 The garlic will provide quite a few plants after I splint the bulbs up into cloves. 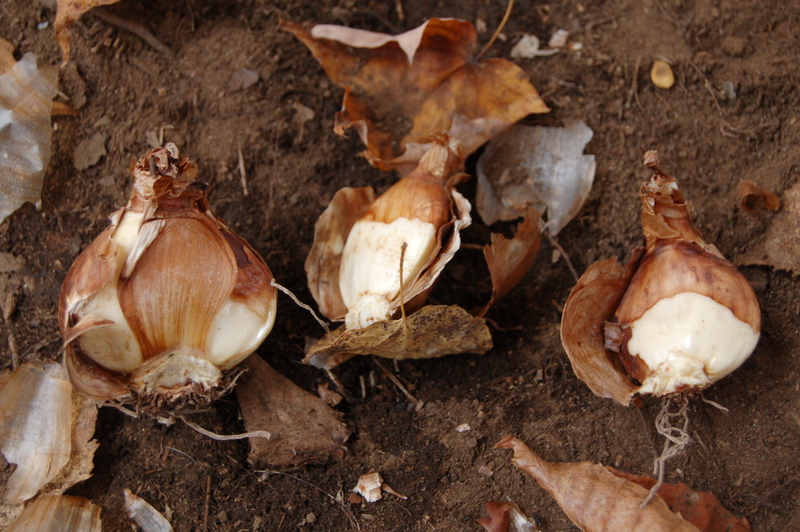 I noticed that some of the daffodils also had separate cloves to their bulbs. I’m not sure if it works the same as garlic, but I pulled the bulbs apart like I dod the garlic. They weren’t expensive or anything, so if I kill them all, I will only lose $10 or so. According to the packages, I bought 10 bulbs. I ended up with 16 or so. Hopefully, I haven’t killed the daffodils and they will keep the critters out of my beds. I’m just wondering how, if I plant my bulbs in the fall, I will be able to get to the beds to plant the veggies in the spring. I guess we will have to wait and see. We made these ornaments to decorate our tree, outside still growing in our yard. This was the first time we had done this sort of thing, so we are still working on the outdoor decorations. I am tired of wasting $50 every year to buy a tree that will be pretty for a few weeks and then just die. This falls right into the consumerism that we are trying so hard to get away from. I much more enjoy going outside and feeding the birds while decorating our tree. We are going to have to find some more ornament ideas for next year though. 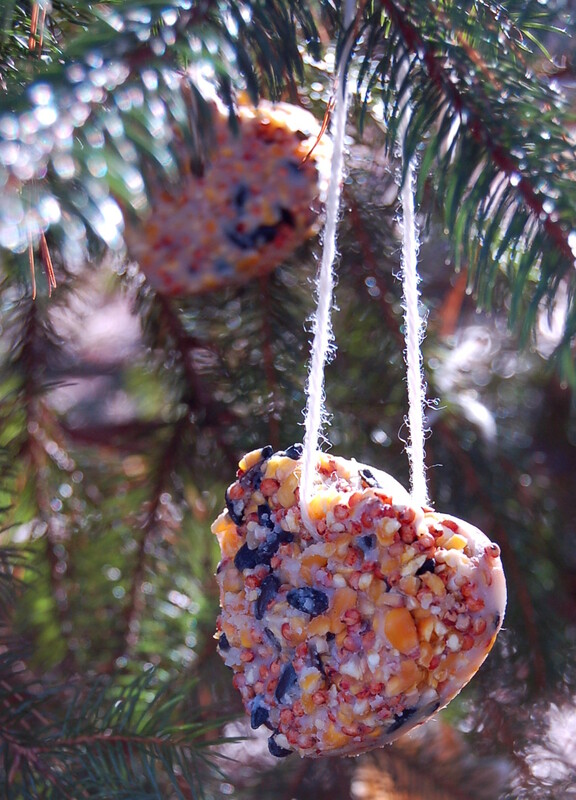 I really liked these ornaments because they are pretty and mini bird feeders. My little girl (2) was able to help me make these decorations without any trouble. We also made salt dough ornaments, but these were more fun to share. have liked them to be so we ended up just freezing them right before we hung them. 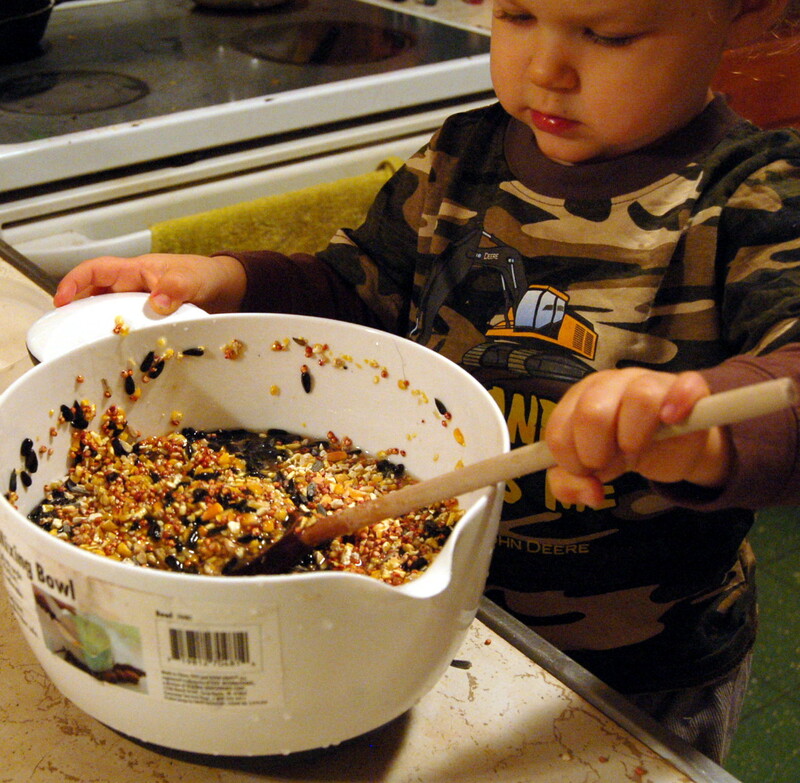 Pour the mixture into the molds and put a straw through where you want the string. Put them in the freezer overnight. Once they are frozen, pop them out of the molds, pull the straws out, thread the strings and you’re done. 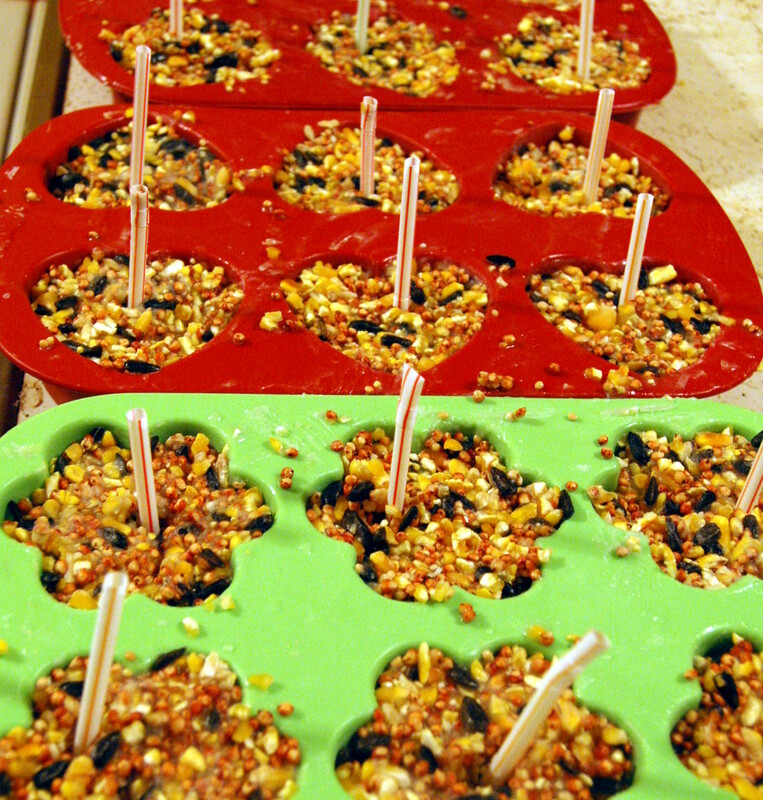 Beautiful and tasty treats for the birds! Since permaculture is also organic we don’t use any chemicals on anything. This means we need another way to control bugs that bother our garden plants. Birds eat lots of bugs so we should do our best to make friends with some birds. I put birdhouses all over my yard. This is my very first visitor. I should point out too that if you put the houses or a post out in your garden, then when the birds poop, they are adding nitrogen to your garden. I have seen one garden where the post can be moved around depending on where you need the nitrogen. Permaculture is all about many uses for everything. My whole family helped in the birdhouse making. We made a day of it. We all sat down together and painted and then I fed everyone dinner. It was a nice family gathering and I got quite a few nice painted birdhouses out of it. I think we will do it again next year.